Video games have a long history. But it was the previous decade that was considered as an important period having contributed to its progress. Precisely, at the culmination of the 20th century, the video game industry catapulted to unfathomable heights and reached a position that would have only been anticipated as a dream before. The ebbing shift in genres was an evolutionary mechanism, and perhaps a driving factor that propagated the notion of individuality. Over the course of time games became more unique with notable characteristic variations. The late 1900s, as is often said, is a harbinger of change, led by more than a decade long of innovation that brought the market to the foot of prosperity. Flourishing corporations set up their businesses in the hopes of making a score and were they successful, their names would go down in history. And so it did. We get to hear about companies like id Software, Valve, Blizzard, Nintendo, EA, Ubisoft. These companies and their emblems have studded the intros of some of the most prominent titles, the first of their kind to have been made, for a long time and still survive to carry on their legacy. Spiel Times is not as old as any of these corporations or their products. In fact, until recently, it was not even a recognisable brand. It is the brainchild of a North-East Indian teenager and owes its origin to the growing interest of video games in the Indian subcontinent. The website was launched in the summer of July 2015 as a video-game journalism blog that deals with the distribution of the hottest, trending news free of cost. From then to today, it has quite effectively kept pace with the widest range of topics and adjusted itself as per market demands. Our motto is to nurture the mainstream gaming industry in India and develop an interest among Indian gamers to ‘read’, ‘watch’, ‘interact’ and ‘get involved’ in the multitudinous dimensions of the growing market for video games in the country and the emergence of the e-sports industry altogether. To accomplish that we have adopted a line of unique editorials, tailored for the reader’s pleasure. Until recently, Spiel Times was run by a single person. Presently, it is run by a body of the most talented writers from around the country. These are people with astute knowledge of their respective fields and have invested plenty of time to regard themselves as proficient correspondents/authors. One does not need a printed sheet of paper that confirms their educational standards to join us. To put it briefly, we do not accept degrees as materials of surety during the process of recruitment. We strongly deplore any such practice as it fails to assess innate talents. Instead, we mandatorily check portfolios of previous works to determine individual ability. In the absence of portfolios, trial articles are used as surrogate documents to decide a person’s potential. The person applying for a writing desk must be well versed in English (knowledge of other languages is also appreciated and greatly helps in this line of work, but is not a necessity). The person must possess great knowledge about the field they are going to apply for. A gaming aficionado and an avid Dota 2 player, Pingal is the owner of Spiel Times and the main coordinator of the News section. His area of speciality, although not restricted, primarily includes that of speedy news coverage. He occasionally utilises his writing skills to pen some of the most exquisite, eloquent editorial pieces while engaging in a witty interpersonal exchange of words with his readers. As a proponent of interactive writing, Pingal strongly believes in the philosophy of “easy words, easy comprehension” and aspires to fulfil that with a humorous twist of words to keep his readers pegged. Ishan is an e-sports correspondent from Bengal turned reviewer and essayist. Formerly, he used to specialise in CS:GO news, but his loath for the corruption in the market, the stagnation in the rate of hackers followed by the infestation and Valve’s incompetence in attempting to cleanse this malady compelled him to look for alternatives. Subsequently, he switched to Dota 2 and found it close to home. But this was not enough to curtail the horrors of how he never gained anything notable from all the hours he had invested in CS:GO. As a result, he took an oath never to indulge in e-sports so often that he would be emotionally attached to it. Outside his professional workspace, he is an avid reader, a movie fanatic, an anime lover and has had a mad love for video games since his childhood. 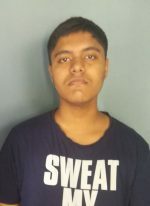 Souhit ‘ReignX2’ Dey is a gamer hailing from Kolkata. As a fan of the World of Warcraft series, he was taken over by a newfound interest when the first DOTA game came out. But, it was not until Dota 2 was released under the banner of Valve did he actually resolve to take it seriously. Come 2016 and he was already participating in a number of tournaments to test his luck. Although he had failed to make a decent impression on the ESL stage, his passion for the game did not die out. Despite being an active PS4 gamer and an admirer of its exclusive titles, Dota 2 continued to be his primary game for a long time. 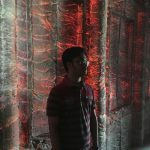 He has been a member of the Indian Dota 2 public scene and has largely remained active in both the Indian and the International professional scenes. Now, instead of proving his worth on the stage with actions, he has joined the writing desk as an analyst to put what he has learned into words. His essays now include investigations of highly coherent nature. 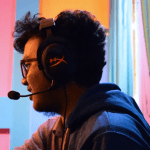 When asked why he does what he does, he says that he feels it is his duty to popularise Dota 2 in the Indian gaming scene. Spiel Times is not a corporation. It is a family. It follows a democratic policy which confers its fellow writers with ample liberty. Its members are free to choose the field of work that suits them best and shift tables whenever they fancy. There is no place for grubby politics here. We believe in equality and our sole objective is to provide for the audience while improving ourselves at the same.